In his 2005 bestseller The Little Book That Beats The Market, hedge fund manager Joel Greenblatt laid out a stunningly simple way to beat the market using two -- and only two -- fundamental variables. The "Magic Formula," as he called it, produced back-tested returns of 30.8 percent per year from 1988 through 2004, more than doubling the S&P 500's 12.4 percent return during that time. Greenblatt also produced exceptional returns as managing partner at Gotham Capital, a New York City-based hedge fund he founded. The firm averaged a remarkable 40 percent annualized return over more than two decades. Since 2010, this portfolio has returned -29.5%, underperforming the market by 69.3%. 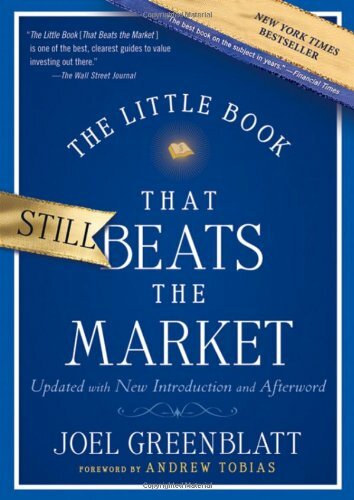 Validea used the investment strategy outlined in the book The Little Book That Beats the Market written by Joel Greenblatt to create our Earnings Yield Investor portfolio. Greenblatt's approach looks only at the return a company generates on its capital, and at the firm's earnings yield (which is similar, but not identical to, the inverse of its price-earnings ratio). The Greenblatt strategy ranks all stocks in both of those categories, and then adds their numerical rankings together. The lower the combined numerical ranking, the better. (Our Greenblatt strategy invests in the 30 stocks with the best combined ranking.) Greenblatt's research shows that while beating the market is hard, it doesn't have to be complicated. The hard part comes not in developing a complex strategy, but instead in finding a proven approach and sticking with it through good times and bad. He stresses discipline as much as any of the gurus we follow.